Shopify is an excellent e-commerce platform for businesses of any size. It’s accessible and affordable for the new e-commerce startup and also offers an enterprise solution for growing and large businesses with Shopify Plus. With more than half of your traffic coming from mobile devices, a responsive website is a necessity. With mobile traffic sources like Instagram and Pinterest continuing to increase in popularity, you’re receiving more quality mobile traffic than ever before. If your site isn’t responsive to various devices, your shopping experience is suffering, your customers are frustrated and you’re missing out on sales. Our friends across the bay in Oakland at ShopPad have provided a simple solution for Shopify store owners. ShopPad solves this problem by creating a mobile responsive website without you having to write a single line of code. ShopPad supports over 95% of mobile and tablet devices and creates an app-like experience for your store. 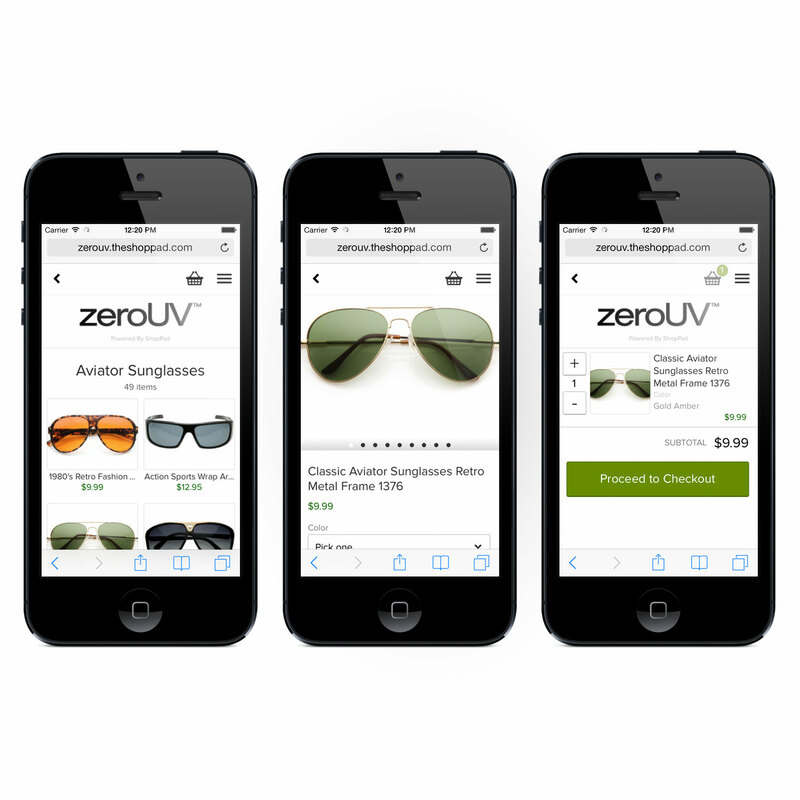 Your customers will never have to worry about pinch-and-zoom and your products will be beautifully displayed. Inventory can be a nightmare, especially if you’re selling across multiple channels. The Stitch Labs Shopify app allows you to gain complete control of your Shopify inventory, saving you time and money associated with business operations. 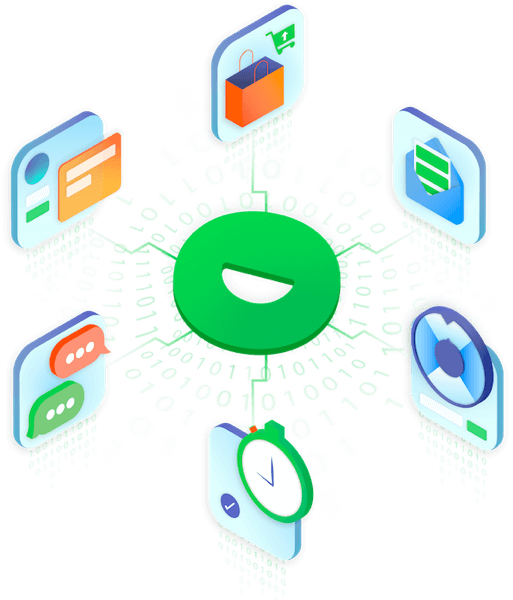 Stitch also centralizes inventory and orders across all of your sales channels so you and your shoppers can get accurate numbers on inventory. 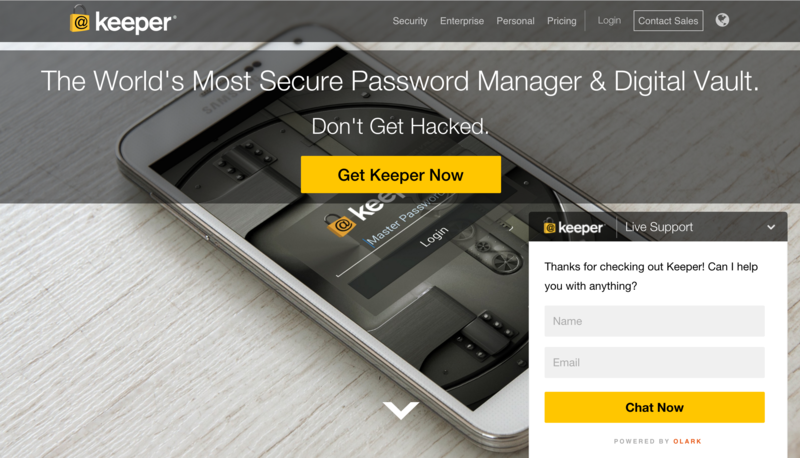 This allows you to effectively sell through multiple channels and fulfill orders with ease. 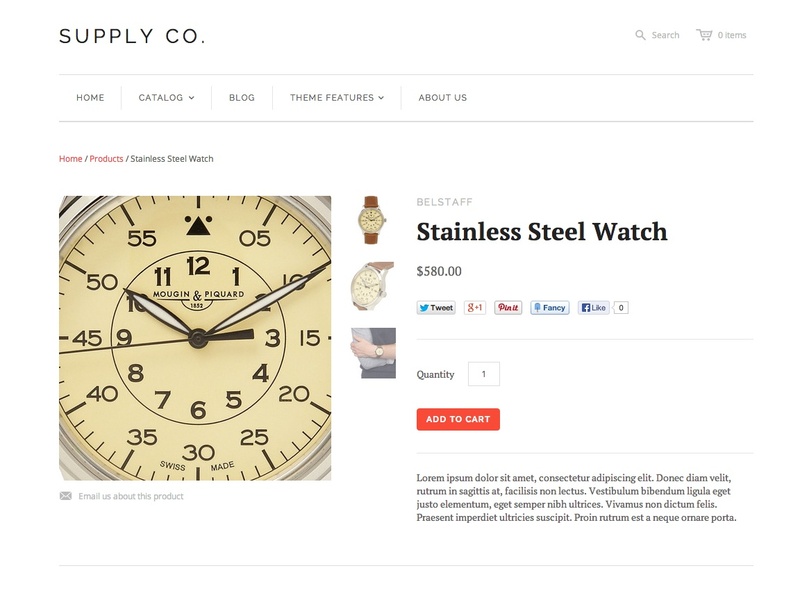 Same time and money with the top Shopify app for inventory, Stitch Labs. 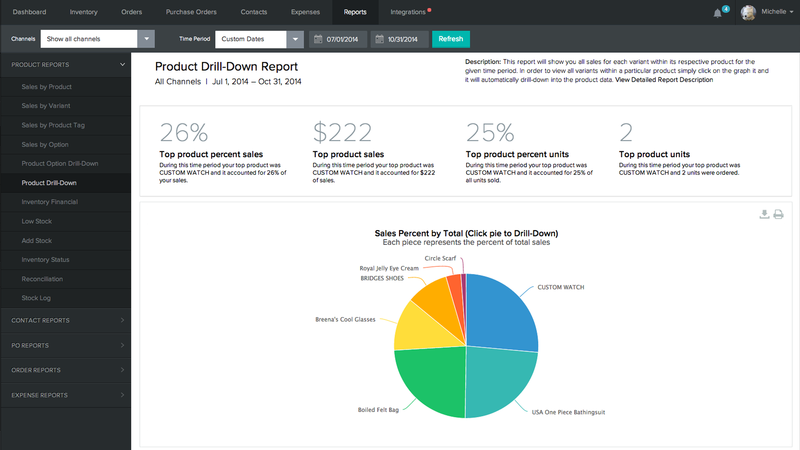 Vantage is a data analysis dashboard with over 100 metrics including: top selling products, gender breakdown, year to date revenue, and much more. To start saving you time and money, Vantage automatically identifies opportunities to be more profitable. 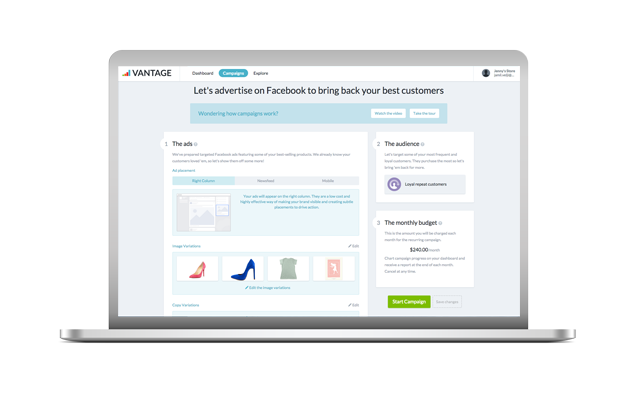 Vantage automatically performs powerful analysis, helps build Facebook advertising campaigns, email marketing campaigns and monitors a store’s performance to save Shopify store owners a ton of work hours every week. Check out their app in the Shopify app store. The logistics of shipping can be daunting and confusing, especially if you’re sending out a bunch of orders every day. 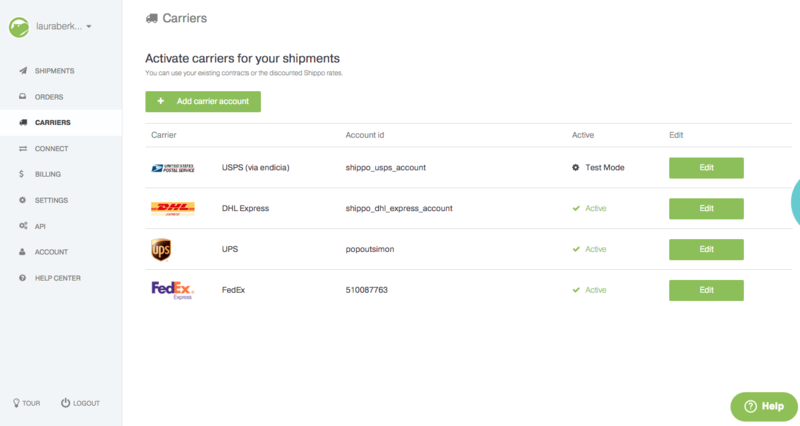 Shippo helps you print shipping labels, track packages, and manage shipments all from one place, saving you time & money on shipping. Import order information with a single click and print labels in seconds. You can also compare shipping rates from over 14 carriers allowing you to get the best deal for your business and your customers! Ship more efficiently with Shippo! I actually enjoy accounting but the time associated with it does not make sense for the e-commerce store owner. If you manually enter Shopify data into QuickBooks, it is error-prone and your efforts are doubled. No more. 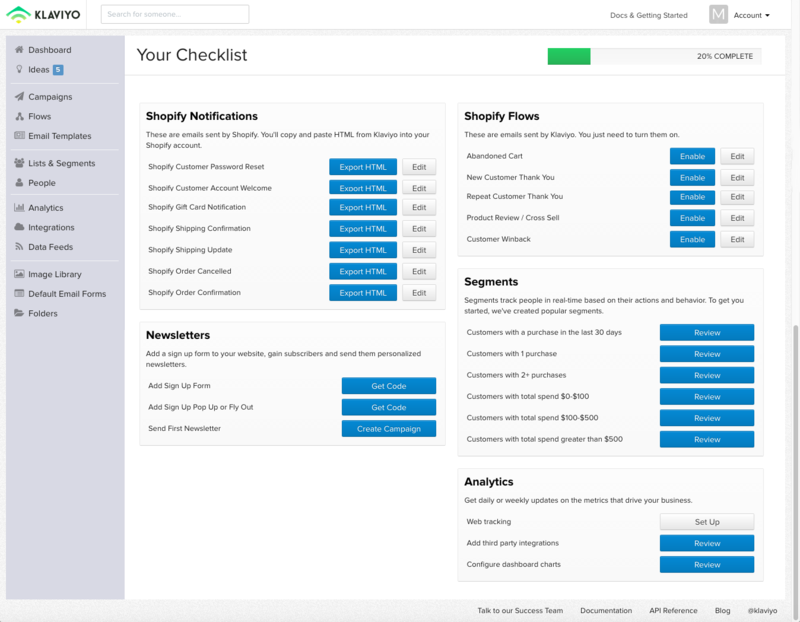 Pipemonk syncs your Shopify data into QuickBooks Online or Xero – your accounting app of choice. All your orders, customers and products are automatically synced saving you a ton of time to focus on other aspects of your e-commerce business. Interacting with shoppers on site puts you in a better position to build a relationship and drive sales. Olark live chat allows you to talk directly with customers browsing your Shopify store. Help them find exactly what they need, answer any questions and stop objections in their tracks. This on-site engagement tool is a must for Shopify business owners. Instagram is a powerful way to visually showcase your products but monetization of the channel presents its difficulties. Not anymore! 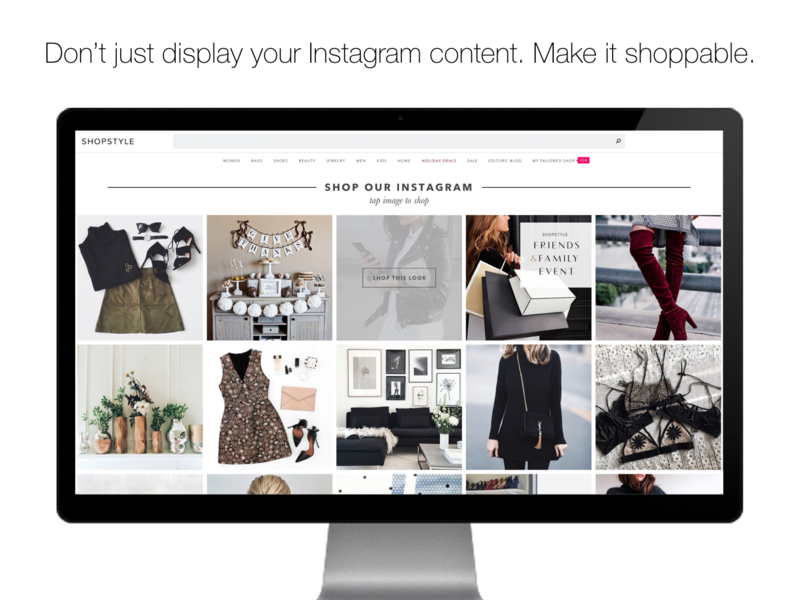 Foursixty lets you create shoppable Instagram galleries for your online shop. Rather than just displaying your Instagram photos through a standard Instagram widget, the shoppable functionality allows you to tag products featured in your photos and videos so that your visitors can actually shop right from your embedded posts. Never again will your visitors have to search your store for a product they saw in your Instagram feed. Foursixty will get them to the point of sale right away. 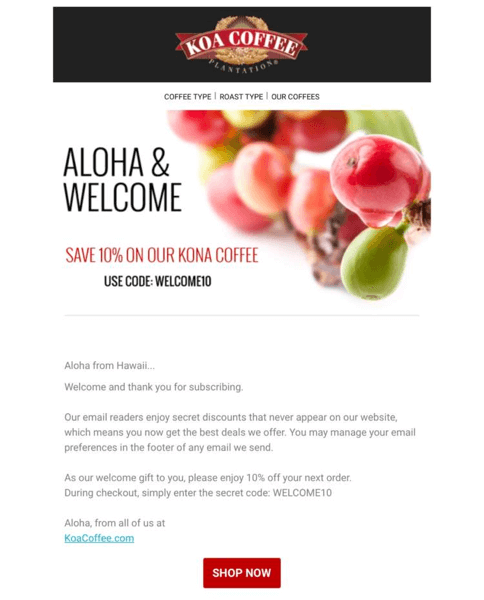 Email is one of the best ways to bring in new customers and keep them coming back. Klaviyo’s e-commerce specific email marketing platform gives you the tools you need to send more effective emails. Now, you can integrate Klaviyo’s email marketing platform with Shopify in one click! Send newsletters, abandoned cart emails, segment your list, and display automated product feeds. Wanelo (“wah-nee-loh,” from Want, Need, Love) is as a social marketplace bringing together 350K stores and 20M products, all shoppable from one place. For shoppers, it’s a way to discover and buy products from stores both big and small. For merchants, Wanelo is a place to market and sell your products to millions of users who come to do nothing but shop. 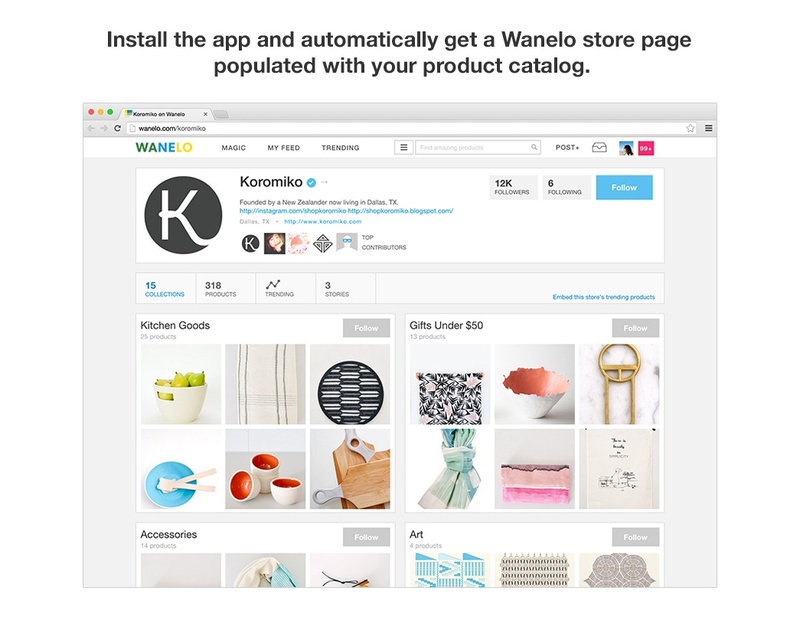 The Wanelo Shopify App helps Shopify merchants reach new customers, build a following and grow their businesses. With an install of the app, you can sell your products directly on Wanelo, so that millions of shoppers can discover and buy your products with just a tap. Wanelo Pricing: 10% commission on all fulfilled orders placed on Wanelo. Encourage your shoppers to leave more product reviews with Yotpo. 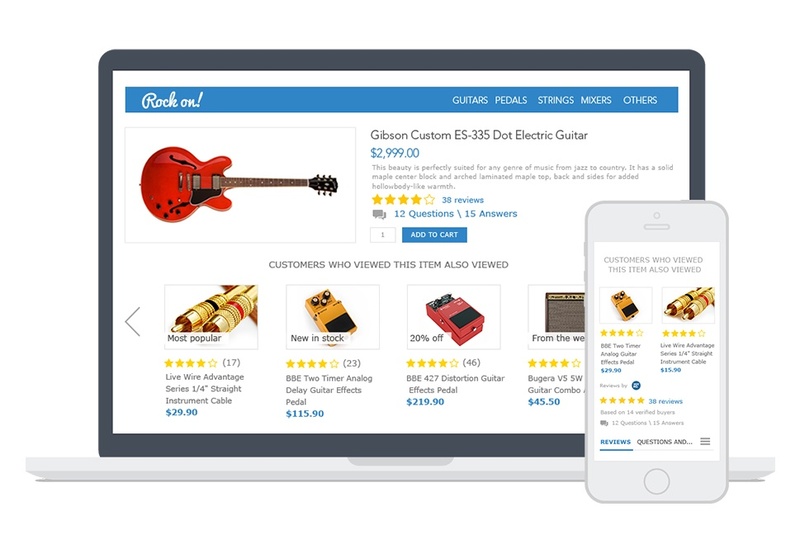 This useful Shopify app will increase the number of product reviews that you receive and will let you present your reviews in a visually pleasing manner onsite and on social media platforms. Customer testimonials are extremely valuable pieces of user-generated content. By increasing your customer reviews, you can increase the legitimacy of your products and site while also getting valuable feedback to use to improve your sites shopping experience. Yotpo is also available in other e-commerce platform apps stores, like Magento. You’ve invested valuable time and money getting customers to your website. 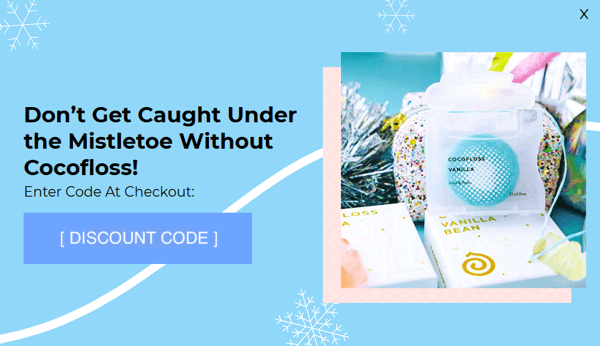 Don’t lose out on a sale because the item they want to buy has just sold out. 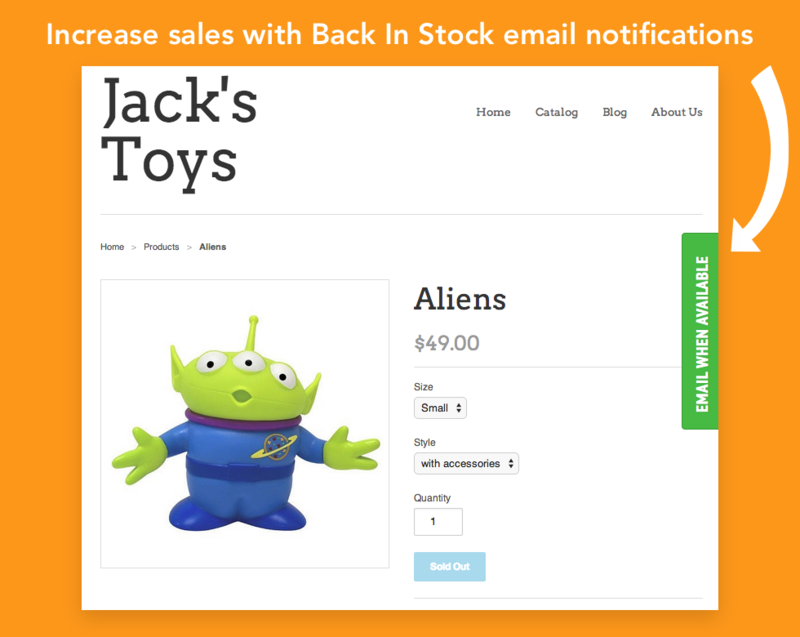 The Back in Stock Shopify App makes it easy for customers to quickly sign up for a back-in-stock email alert. The moment an item is available, your customer is automatically sent an email with a buy now button. You’ve made an extra sale, plus your customer is left with a good impression of your store, rather than a bad taste in their mouth because they couldn’t buy what they wanted. Emma email marketing for Shopify gives you everything you need to connect with customers in meaningful ways and easily track your ROI. 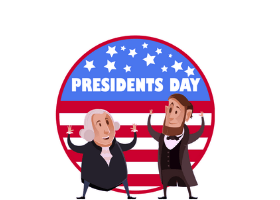 Sync your lists in just a few clicks. Setup is a snap, so within minutes, your customer data appears in your Emma account. Target the right customers with the right message. 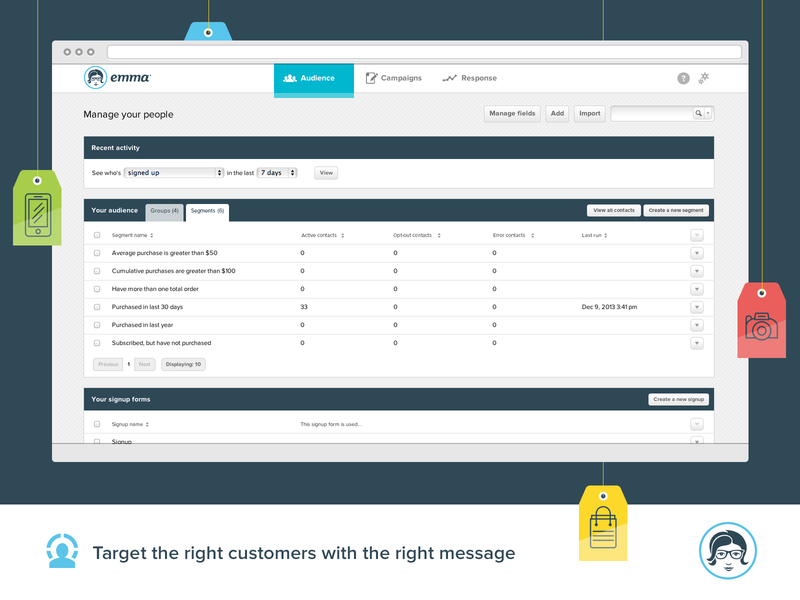 Emma automatically segments your audience into groups based on purchase history, so you can target high-value or recent customers easily. Search engine optimization is incredibly valuable for e-commerce. Yet sometimes with a busy schedule, it can become an afterthought. 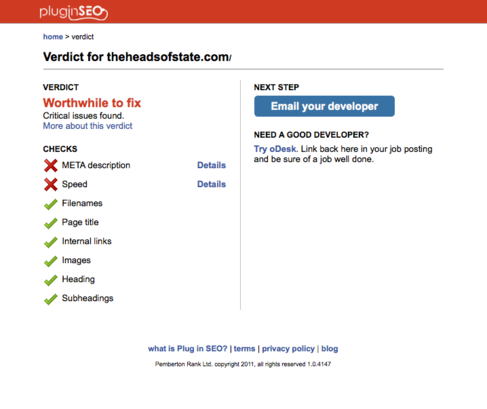 Plug in SEO gives you a single verdict: does your store have issues with search engine performance that will be worthwhile to fix? Once you install, the app checks your store’s homepage determines the verdict and displays details. Product imagery is imperative for a quality shopping experience and for driving sales. People want to know and see products before they purchase. Scope is a simple but powerful product viewer for Shopify. Packed with three distinct ways to show off your high-resolution images, Scope allows your customers to zoom, expand and explore your products in ways that most shops do not. On-site marketing and visitor engagement have quickly become a focal point of many e-commerce websites over the last year. While driving traffic is a key aspect of e-commerce, marketers need to focus on how to convert this traffic once it arrives on their website. Conversion rate optimization for e-commerce is no easy task but with Justuno, it can be! Justuno is a conversion marketing suite of tools designed to help websites convert a higher percentage of traffic into leads and revenue. Create and implement effective discount promotions and coupons on Shopify to tackle your biggest e-commerce headaches. 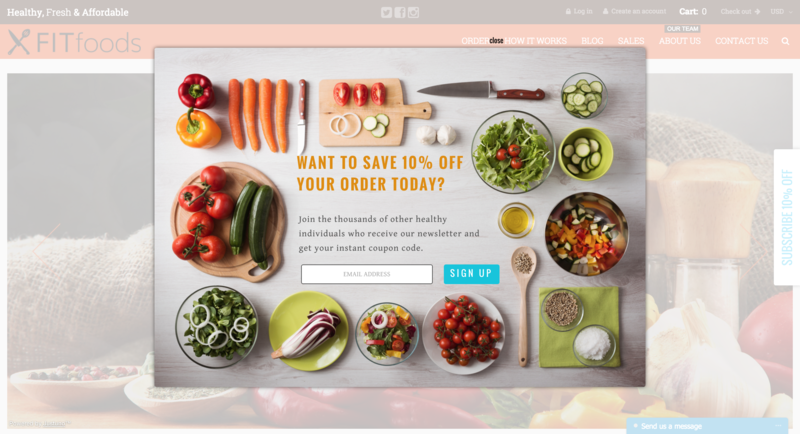 Build your email list, increase sales, and reduce cart abandonment with one platform! Justuno boasts a drag-and-drop design canvas with a library of pop-up and promotion designs, a powerful visitor targeting & segmentation engine, and over 30 marketing, email & CRM integrations including Optimizely, MailChimp, and Klaviyo! Have you used any of these Shopify apps before? Share your experiences with us in the comments below!